Deborah Potter was born in Santa Monica, California. She spent her childhood in New York City, Beverly Hills, Malibu and west Los Angeles. Because her family was in the forefront of the entertainment business (see Famous Relatives), so she grew up on both coasts. After attending Marymount High School in New York City and graduating from Marymount High School in Los Angeles, she studied English, psychology and drama in college, then moved to New York City to study acting. After a brief career as an actress, and working in assorted secretary, go-fer and waitress jobs to pay the rent, she discovered she preferred to spend her time directly helping others. She became an agent for young actors, then opened her own talent agency. 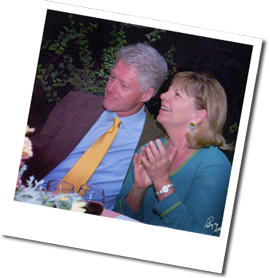 When she married Earl Potter, a Santa Fe attorney, she found other agents for her clients but was able to continue representing one of them, Scott Glenn, as his manager, agent and publicist. Then another actor, Danny Glover, asked her to represent him. Besides traveling the US and other parts of the world working for clients, she spent her time as her husband's business partner and a development volunteer for non-profit causes. In 1989 she retired from the film business. She is the proud mother of an adult son, a hiker, a skier, a horse owner, a former migraine sufferer and a not very promising golfer. In 1999, a life-threatening accident changed her life. After a lifetime of wanting to own her own horse, she finally had the time and the money to achieve that dream. Then she fell off the horse and broke five bones. Most of the bones healed normally, but her fear of being accidentally touched lingered for years. When she had neglected all her friends and was ready to leave her husband, she discovered she had been suffering from Post-Traumatic Stress Disorder. 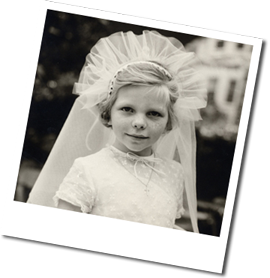 Always preferring writing to any of her other skills, she decided to help others by telling her story about discovering and overcoming this very debilitating and often un-diagnosed illness. 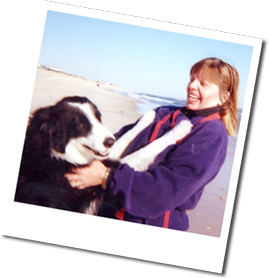 What motivated her the most was knowing that her beloved Border Collie, Buster, didn't have much time to live. She wanted the story to be a tribute to him because he had helped her though the trauma and the subsequent disorder. This story has become her first book, Let Buster Lead.